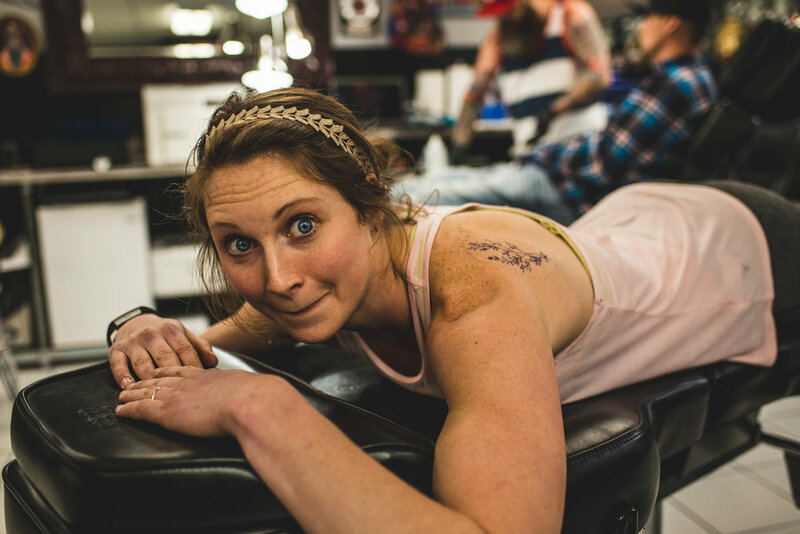 Amy had been wanting a tattoo for a while, and each time we try to go, something comes up. This weekend, we were determined, but the shop we intended on going to was so busy and full that we had to bail and we thought we would have to wait for another time. But I said NO we are GETTING YOU this tattoo!! So here we is. Oh yeah and I got one too.